It was cloudy morning in Santa Barbara, definitely not something we kne from soap opera with the same title. Fortunately, it was not raining. It was even more important, because we had a plan to ride famous Mulholland Highway, that is much more fun on dry road and warm tires. 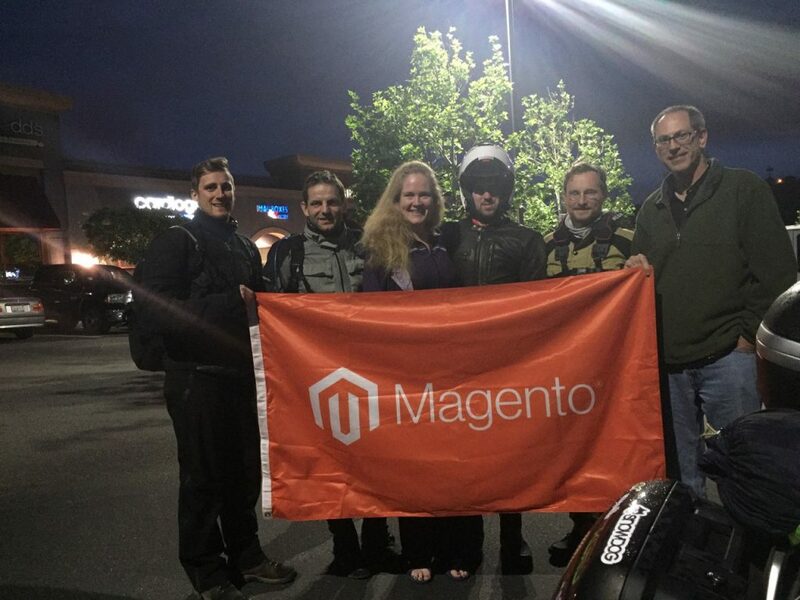 On our way to Olancha we had one more stop in Valencia, meeting our friends running Magento store DME Direct. Supposed to be short coffee break, changed to much longer seefood dinner with tons of e-commerce discussions. We left Valencia after dark with long freeway night ride in front of us. Not too interesting (no views), cold and long, that was actually the most difficul part of the whole trip. Before we got to Olancha I almost fell asleep few timesere on my bike… Rest of the team was in better shape, but we were all tired and couldnt wait to see lights of Olancha.